Software Toolbox has been connecting devices, systems, and data at the edge before it was called the edge! 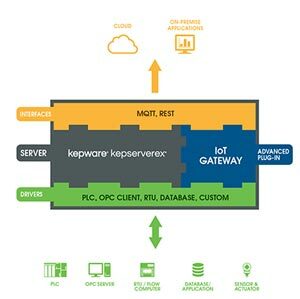 The KEPServer-EX IoT Gateway is an advanced plug-in for KEPServer-EX product line that adds capabilities to deliver data from anything KEPServer-EX can access data into IoT cloud systems. RESTful client for delivering data to RESTful web services. 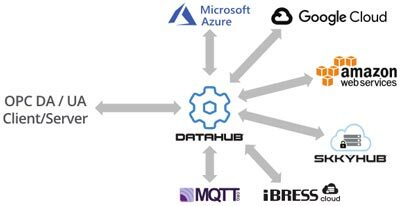 The Skkyhub Service is a natural extension of the Cogent DataHub product. Great complement to any other TOP Server driver suite you are using to deliver data to Wonderware applications. 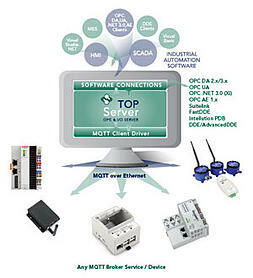 Connect to just about any serial or Ethernet device without custom programming. Serve the data up via OPC UA to any of the IOT Gateway solutions we offer. Connect 1000's of device types.